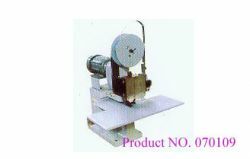 We imports foreign advanced tech and develops the small sized tape binding machine, which is as advanced as the foreign congeneric machines. We are the first company producing tape binding machine in China. 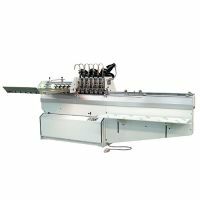 The machine has the frequency control system, fast speed, high efficiency, stable quality and easy operation. Its performance is safe and reliable. It can deliver and feed books automatically. It also has compact structure and light and handy. It is the perfect equipment to bind all kinds of books, folios and specially fit for binding all kinds of hardcover notebooks.